Is Airbnb Covered in Your Travel Insurance? : : Insure4less – Australian Travel Insurance Information	Is Airbnb Covered in Your Travel Insurance? Is Airbnb Covered in Your Travel Insurance? Chances are, someone you know has raved to you about Airbnb. You may or may not know what they are talking about, and even if you’re familiar with the concept, you probably have no idea whether your travel insurance covers this type of accommodation. The way Airbnb works is simple: first, hosts advertise their spare room, apartment, houseboat, clock tower, cave or tree house (you’d be surprised at the amazing dwellings people list) for rent through the Airbnb website. Then, people from around the globe book and pay to stay at these homes through the Airbnb website. Airbnb is kind of like the Uber of the travel accommodation industry and its increasing popularity is revolutionising the way people holiday. 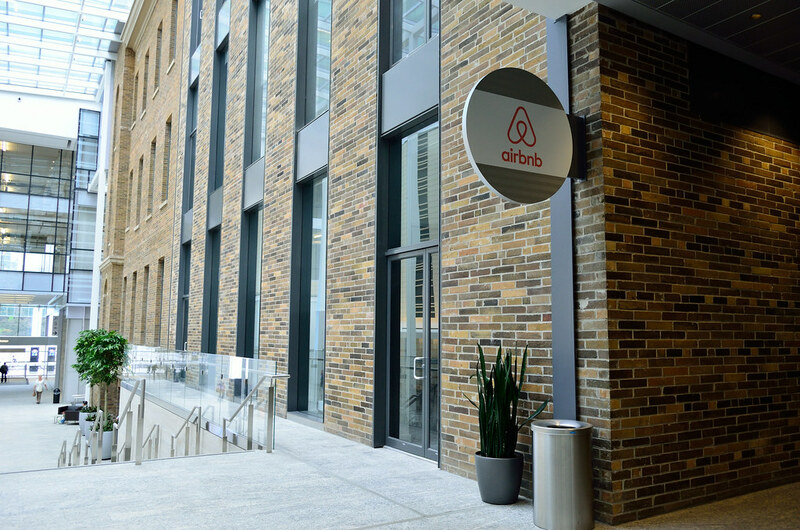 In the last quarter, Airbnb booked over $2.2 billion in accommodation fees. It’s not just for scrimping backpackers or students either. Even celebrities are getting on board the house sharing bandwagon – Mariah Cary is reported to spend $10,000 a night renting Airbnb mansions in Malibu. A decidedly less glamorous but potentially more interesting accommodation option, Couchsurfing International describes itself as “a hospitality exchange and social networking website”. Unlike Airbnb, couchsurfing members either offer their homes to guests or are guests in other’s homes for free. Couchsurfing focusses more heavily on fostering friendships between hosts and guests than Airbnb, with hosts often offering to take their couchsurfers on day trips and show them the sights of their city. Does Insure4less cover Airbnb and Couchsurfing accommodation? Yes. Insure4less recognises both of these private rental services as legitimate forms of holiday accommodation. The amount of money you’ll be entitled to get back if you leave your Airbnb accommodation will be determined by which of Airbnb’s six cancellation policies you agree to when you book. If, however, you are forced to cut your accommodation short because of an insured event (injury, illness, death, jury service, witness call, pregnancy or redundancy) Insure4less will refund you any remaining prepaid amounts your host does not refund you. Couchsurfing cancellations aren’t covered by your travel insurance as they don’t involve any monetary exchange between you and your host. What if I accidentally damage the host’s items/property? Airbnb and Couchsurfing both rely on guests and hosts giving each other a rating after their stay is complete to keep users accountable. So, if you have fallen in love with the house-sharing way of life the last thing you want is a bad rating tarnishing your reputation. Fortunately, if you’ve taken out travel insurance with Insure4less you will be covered if you do find yourself personally liable for accidental bodily injury to your host or accidental damage to their property. If, however, you are the one who is injured during your stay your medical costs will be covered by us but any loss of enjoyment or future earnings will need to be covered by your host’s insurance. What if my accommodation is represented misleadingly online? Expecting to see the sun rise over the Pacific Ocean from your 1000 thread count sheets only to be greeted by bed bugs and unobscured views of restaurant dumpsters in the alley way next door? Sadly, the cost of overhyped Airbnb accommodation won’t be reimbursed by your travel insurance. Your best bet to safeguard against holiday disappointment is to avoid unexperienced, unrated, or poorly rated hosts. And, if you do end up in lacklustre lodgings make sure you rank the host accordingly and let other Airbnb or Couchsurfing users know about your experience! No matter how welcoming your Airbnb or Couchsurfing hosts may be, it’s always wise to keep your valuable possessions (passport, laptop, cash) close at hand. If you do have to go somewhere without your valuables, always ensure they are locked away safely. If you’re provided with a locker make sure it is secure and buy the lock yourself. At the risk of stating the obvious: read all of the reviews before you commit to any accommodation. Unlike other forms of online reviews, Airbnb and Couchsurfing reviews are written by real, paying customers and as such can be trusted. It’s also a good idea to use Google Maps Street View to research the area surrounding your accommodation – the place may look amazing in photographs but could end up being too difficult to get to or dangerously located for you bother. • How much hosting experience have they had? • Are they insured to provide share accommodation? • What is the transport situation like in their location? When it comes to Airbnb and Couchsurfing, you’ll need to become your concierge. Downloading travel apps like TripAdvisor, Google Translate, Skype, PackPoint, XE Currency and local public transport apps before you leave can make your holiday hassle-free. Always have a plan-b, just in case things don’t work out with your private arrangement. This plan should include: having a way to reach your emergency contact, savings the local number for law enforcement in your phone, and having transport options on hand. Whether your Airbnb or Couchsurfing hosts make you feel unsafe or uncomfortable, the accommodation itself seems dangerous or unsecure, or you’re just not satisfied with your surroundings, when in doubt, just get out.